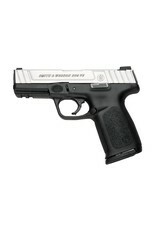 Smith & Wesson’s new SD9 VE™, with its distincive two-tone finish, is a semi-automatic pistol, chambered in 9mm. 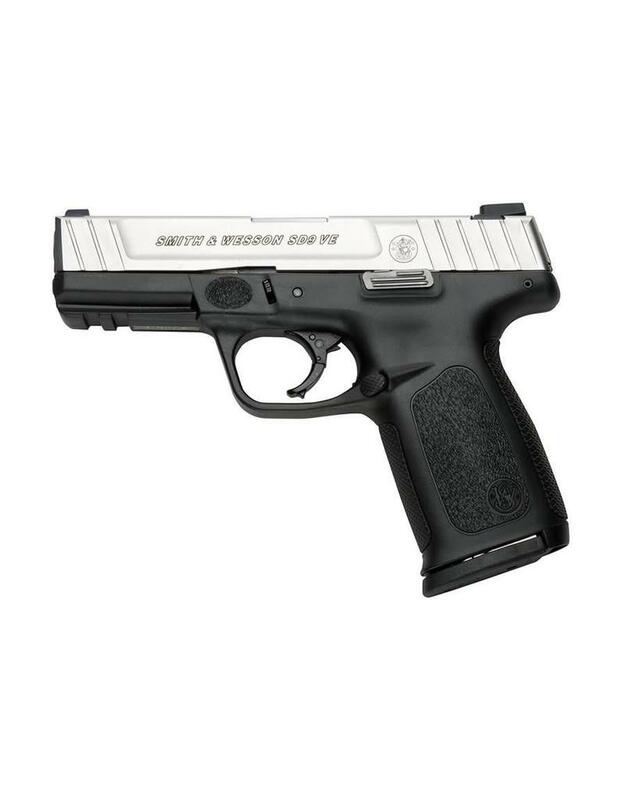 This new offering features Smith & Wesson’s SDT™ - a Self Defense Trigger for optimal, consistent pull from the first round to the last. The picatinny-style rail gives you the option of adding accessories such as a light or laser. Another new feature is the aggressive front and back strap texturing, which provides a more secure grip, while still maintaining comfortability. Overall, the new SD9 VE™ combines value with enhanced features to deliver top-grade performance in a reliable option for home and personal protection.